CAUTION: this item is a DIGITAL PATTERN for crocheting amigurumi. 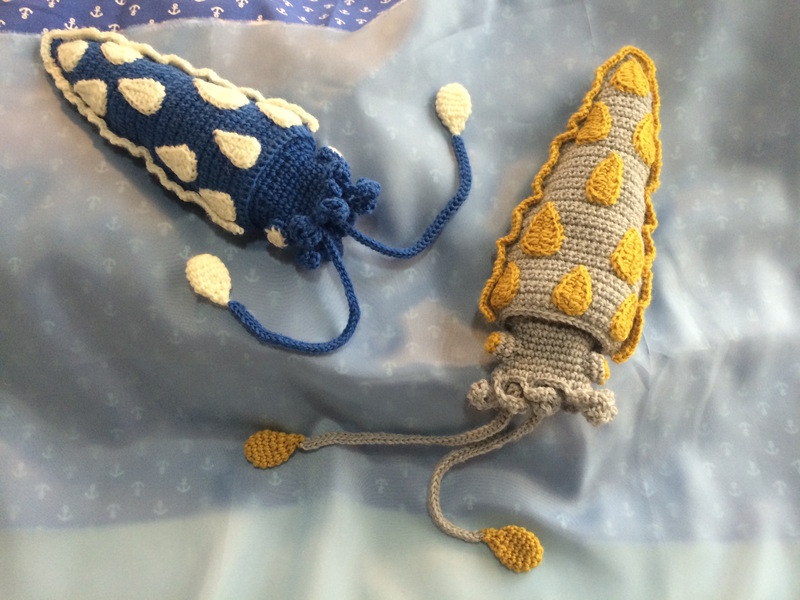 CAUTION: This product is a crochet pattern of amigurumi. NOT FINISHED WORK OF CROCHET. 2. Simple pattern, which contains full charts (diagram ) and photo instructions. 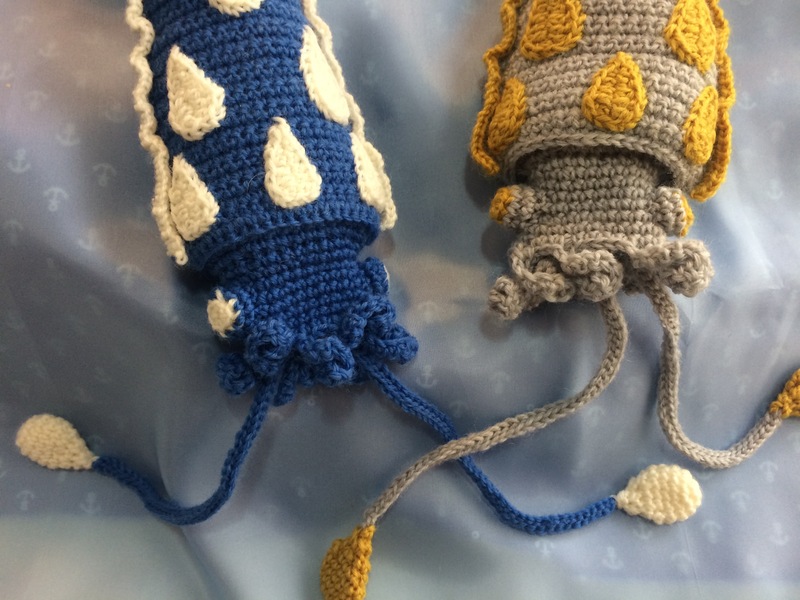 Squids wearing rain drops! Swimming in your room smoothly, they can also be sachet with your favorite potpourri. Hanging them on the walls may also makes your home more cheerful place. Gauge is not important in this pattern.